Our Organic Diced Carrots are the perfect addition to soups, stews, salads, and more. 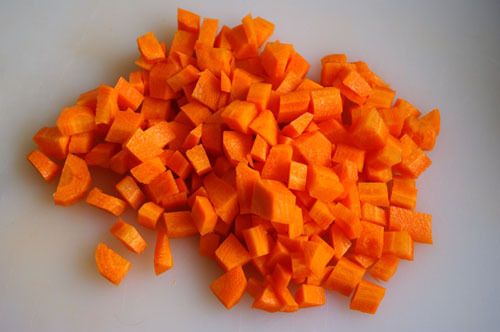 Diced carrots are an excellent source of vitamins. Toss some in a cold salad, add them to your signature soups, or steam them with other vegetables for a nutritious side dish. Keep frozen. Place frozen vegetables into a 2-quart saucepan. Add approximately 3 tablespoons of water per 2/3 cup serving. Boil covered over medium-high heat for approximately 4-5 minutes or until heated throughout. Season to taste.